is SOMA Somatics for you? SOMA Somatics is a system to help us as individuals improve our movement, mindfulness and joy in living. It is a holistic system in that it works with our living body and leaves you with the knowledge, awareness and tools to help your body, mind and emotions. SOMA Somatics comes out of the field of somatic education and more specifically the work of Thomas Hanna, called Clinical Somatics or Hanna Somatic Education. It is also a blending of other disciplines and approaches like MyoFascial Release, biofeedback, Alexander technique, Feldenkrais method, mindfulness, martial arts and others. Thomas Hanna was really the originator of the field of Somatics. He wrote the book called Somatics and was the founding editor of the magazine Somatics. The first book he wrote on the subject in 1969 was Bodies in Revolt, a Primer in Somatic thinking. The focus of Somatics is around the neuromuscular system. As it is the control system of our lives, it is critical for survival and in making any lasting change or improvement. Our neuromuscular system controls our reflexes, awareness, gauging, perceptions and movement. It has two modes of control, our voluntary or conscious control and our involuntary and reflexive control. Both are necessary for us to be able to stand upright, breathe, move, take action and to be able to act and interact. Problems come when we get into repetitive patterns of movement, we have experienced trauma, we get into sedentary positions doing our work or hobbies or if aging, pain and tension makes us move less and less. Our neuromuscular system is always learning. Whether we realize it or not, anything that we do is training our nervous system. Unfortunately, one of the common patterns that we repeat in daily life and while reacting to the normal stresses that we are exposed to is excessive tension. It can get confusing, because we need tension to be able to move, to stand vertical in gravity, to access speed and power and to be able to get things done. To live a life of calm joy and to move well with power and efficiency and reduced risk of injury we need the “right or correct” amount of tension. This excessive tension can happen equally on both sides of the body and the front and back of the body. But most times it tends to happen on one side more than the other. In Somatics this excessive and unconscious tension is called sensory motor amnesia or SMA. The nervous system learns how to hold our muscles tight, it gets good at it, but it forgets how to let go. It kind of works like a thermostat, it gets used to holding 30, 40 or 50% tightness and starts to register that as normal. When this happens, we get pulled out of center and out of alignment. It essentially is like having tight restrictive straps pulling on us all the time. SOMA Somatics is wonderful in it's ability to give people ways to be able to see and feel this happening, it gives them the knowledge, understanding and the tools to be able to counteract this unconscious tightening and to be able to remind our neuromuscular system and fascial system how to let go. When we have this unnecessary tightness creating imbalances, it contorts our posture, it distorts our perceptions and the way we see the world, it affects our ability to live a full life while preventing injuries and it reduces our ability to perform all the activities in our life. All of life involves movement. So it's kind of like have any emergency brake stuck on in your vehicle. It becomes exhausting, compromises our full diaphragmatic breathing, strips away our strength, leaves us in pain and makes us feel much older than our years. Anyone who has lived a few decades realizes life isn’t predictable. We have to be adaptable to survive and to thrive. The great thing about Somatics is it’s adaptability. It leaves you more adaptable to what life throws at you and it can be adapted and blended in with almost any other practice whether it’s yoga, stretching, strength training or stress management. It doesn’t just teach you exercises it teaches you principles of movement and of life. It is a system of assessment, education, movements and self improvement. Hi! I’m Greg Augustine. 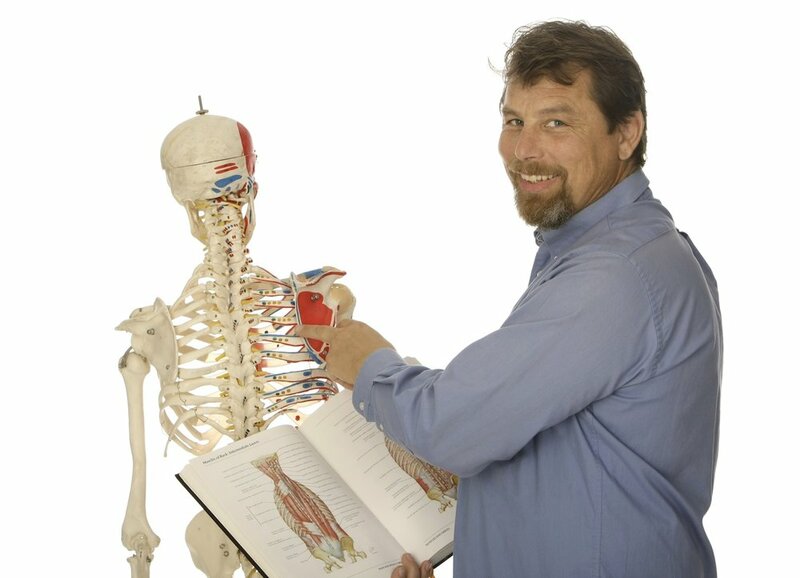 I am a pain and movement specialist and SOMA Somatics educator and practitioner.